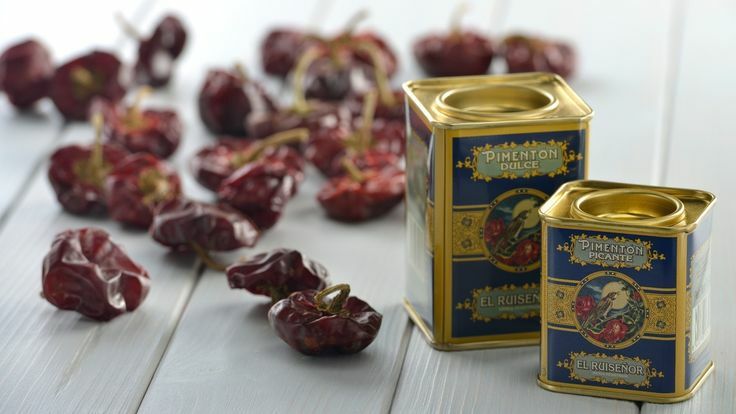 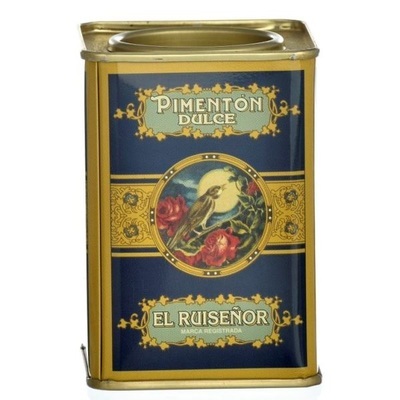 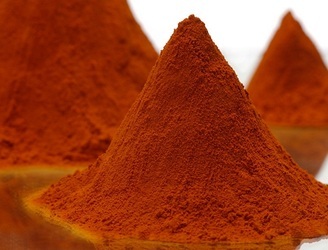 High-quality sun-dried paprika from Murcia (Pimenton de Murcia PDO) with a great flavour and wonderful colour, in a beautiful tin. 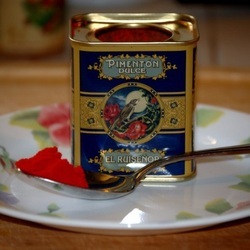 The aroma is characteristically strong and penetrating, and the taste is sweet, oily and flavorsome. 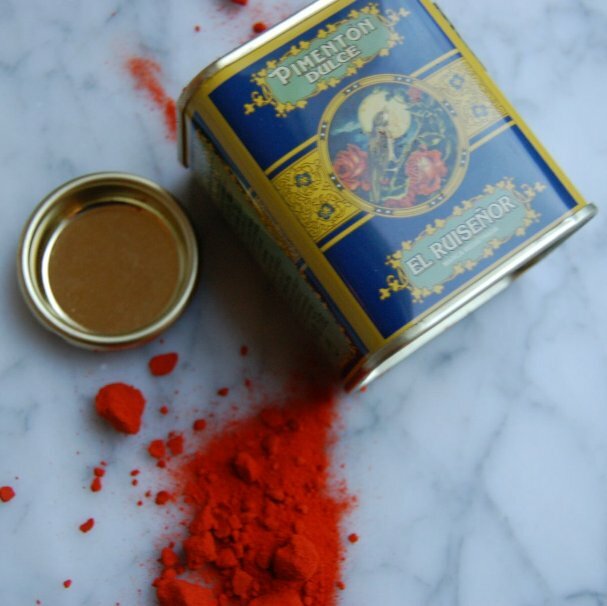 Both colour and aroma are very stable. It is called 'El Ruisenor', meaning The Nightingale, which is pictured on the tin.